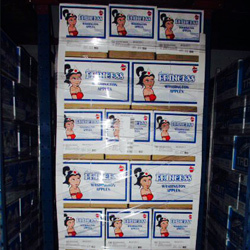 Custom Packing readily available, Paramount stands behind our Top Quality Brands! Paramount Export has been in business since 1939 and part of that longevity can be attributed to our solid belief that only the highest quality produce should be shipped. Over the years Paramount has developed a reputation for shipping premium fruit and we have created several Paramount brands in order to differentiate our fruit from the rest. Paramount Export is proud to pack Flamingo, Global, Golden Gate, Red Mountain, American Princess and Gold Mountain labels. 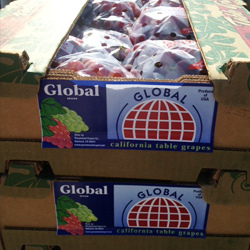 We are packing Table Grapes, Apples, and Citrus from California, Washington, Florida, South Africa, New Zealand and South America in our own labels. Our dedicated field staff helps to ensure that only the best quality fruit is packed in our brands.